The church’s actions drew political outrage as well. Metro City Church, a Michigan church, was subjected to flak due to a workshop for converting the LGBTQ youth to “straight” ones . The church had earlier advertised a few programs on its social media page. The particular workshop in the eye of the storm, titled “Unashamed Identity Workshop” dealt with children who are in two minds with their respective sexual identities. Part of Metro City Church's marketing involved the emotional pleading of adults as to whether they can see the hurt and pain of struggle which their wards are going through. This workshop, said the church, is the answer they search for. Metro City Church has partnered with Forge Ministries for this venture. The workshops were held over a total of six sessions. The venue was the Riverview campus of the church. The church had stated through a notice that guardians or parents should commit fully to the program so that the child attends all the six sessions. This workshop, the promotional literature said, is for anyone who is born as a female and between 12 years to 16 years old. These children must also be additionally struggling with thoughts of being gay, bisexual or transsexual. They can also be of any other orientation. The church post understandably attracted heavy ire from a number of people after the advertisement was shared through social media. 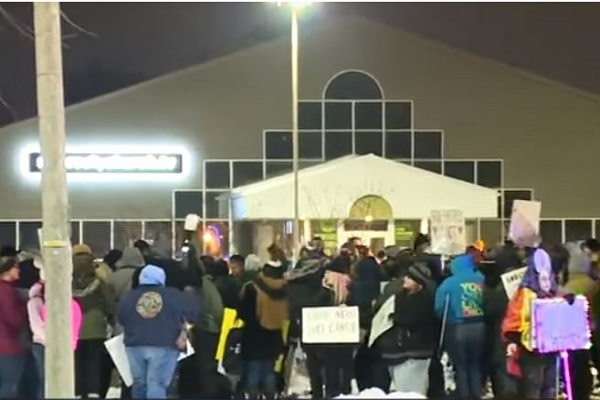 A protest took place outside the Riverview campus of the Metro City Church on February 8. One of the protesters was Seth Tooley, a 17-year-old transgender born female and a resident of Brownstown Township. Seth now identifies himself as male and was joined by Kim Tooley, his mother. She told the media that this kind of program actually harms those which it tries to help. She wants the church to end the program and refund everyone who signed up. The church's actions drew political outrage as well. State Representative Darrin Camilleri elected from the Democratic Party also spoke out against the 'conversion therapy workshop' as articulated by the Representative. He demands that the state launch an investigation as to where such a program can be regarded as legal in the state. Adam Zenke, a Democrat from Ann Arbor and State Representative, and a colleague of Camilleri's has introduced a specific bill- the House Bill 5550- to stop mental health professionals before they engage themselves to change gender identity and the sexual orientation of any minor. The #MetroCity #Church in #Riverview, #Michigan has launched a six-week #GayCure course for girls between 12 & 16 called the “Unashamed Identity Workshop”.